My skin is oily and requires frequent pampering. But due to hectic schedule am unable to do so. 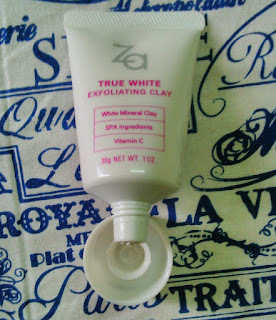 I received a sample sized Za true white exfoliating clay. Initially I didn't find it to be great. As and when I used it frequently it didn't let me down. Let's see how the product is and it's effects on skin. 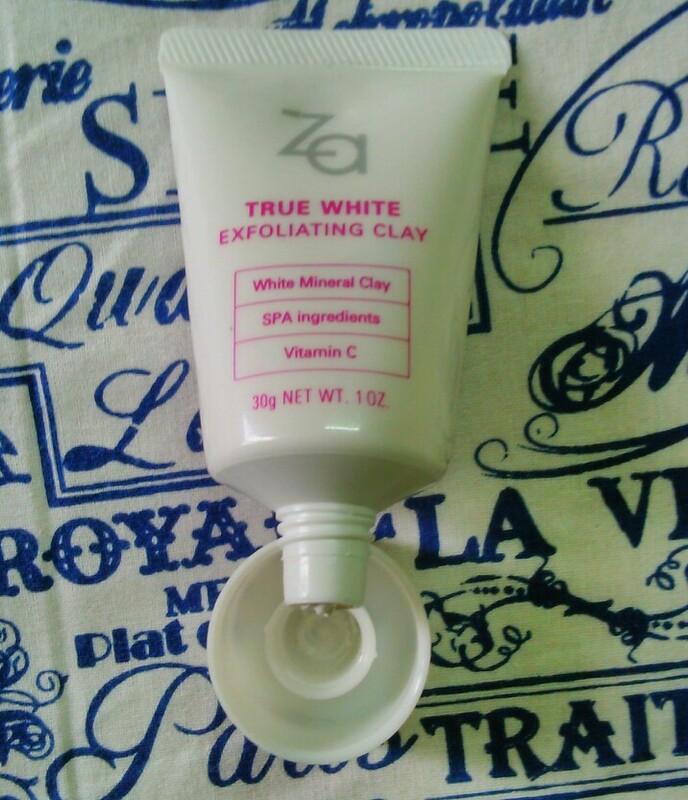 Whitening clay mask which exfoliates excess surface skin cells, removes impurities around pores, absorbs sebum and instantly imparts translucent skin. Water, Glycerin, Talc, Butylene Glycol, Dipropylene Glycol, Kaolin, Alcohol, Bentonite, Polyethylene, Glyceryl Stearate Se, Stearyl Alcohol, Behenyl Alcohol, Trehalose, PEG/PPG-14/7 Dimethyl Ether, Betaine, Magnesium Ascorbyl Phosphate, Magnesium Chloride, Calcium Chloride, PEG-5 Glceryl Stearate, Trisodim EDTA, Phenoxyethanol, Fragrance, Zinc Oxide. 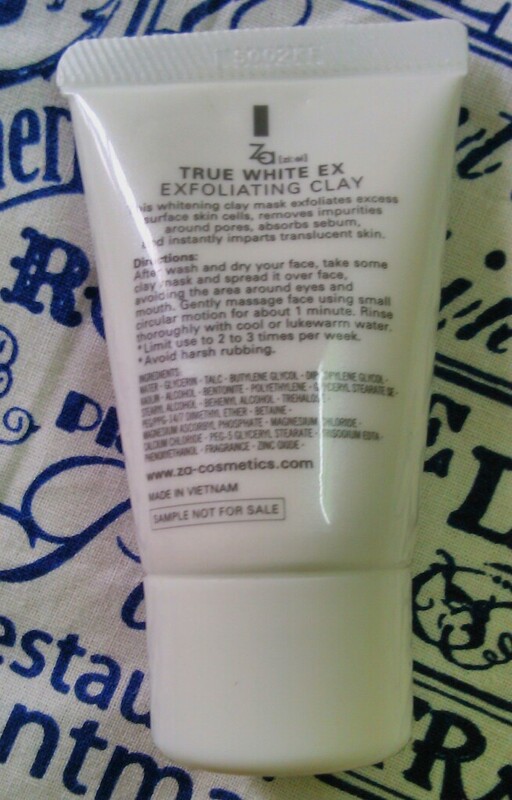 Limit use to 2 to 3 times per week and avoid harsh rubbing. The product comes in white twist cap packaging and is very travel friendly. Though sample sized product comes in twist packaging the normal packaging is flip cap, which again is travel friendly. I washed my face thoroughly well and took a small amount of clay and massaged all over the face for about half a minute and then rinsed off. My skin felt fresh and exfoliated to a little extent. 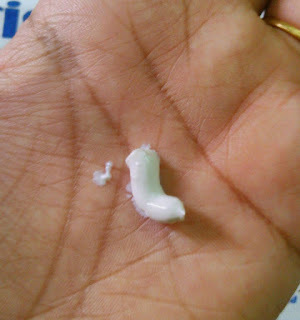 Though it removed the excess oil on my face without drying my skin. 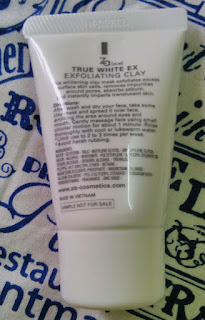 My skin felt glowing effect only after using the product for 2-3 times. The whitening clay is clay with small granules in it. The density of granules is less and it can be described as more of a clay sort product. It gets washed off easily without leaving residue. I think this product can be a little drying for dry skinned beauties. Even in winters I think using the product may dry out the oily as well as dry skin. Not mentioned on sample sized product. Available on Amazon, Flipkart and other major portals. It's a great product as it performs 2 jobs with imparting an instant glow to the skin. It's a great product which can be used on the go without drying the skin. Moreover it is affordable. What else you can ask for??!! I am quite impressed with the product. 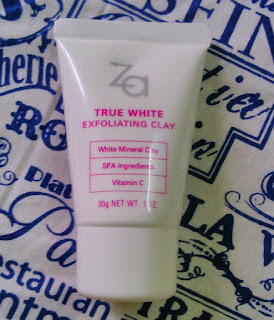 Have you used this product or any other Za range products?